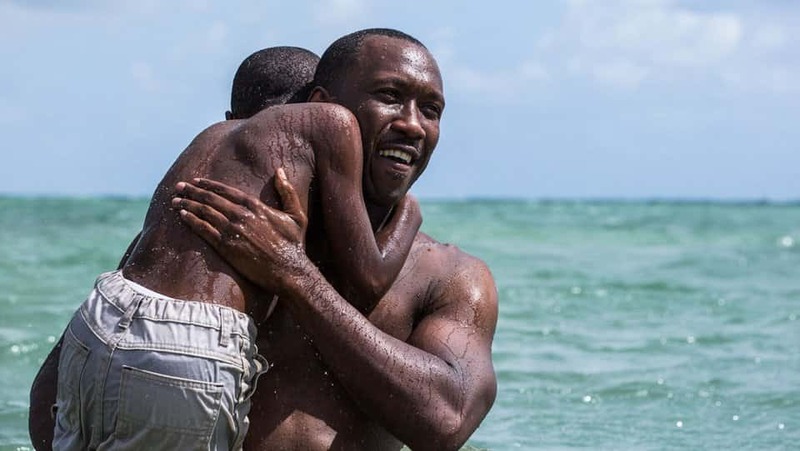 Moonlight is not a film about Hollywood made for Hollywood, it is not a film made for the academy awards, it is not a film made with accolades in mind; it is so much more than that. As the second feature film from ‘Medicine For Melancholy’ director Barry Jenkins, Moonlight is a coming-of-age drama about a young man’s continuing struggle to understand just who he is. Adapted from Tarell Alvin McCraney’s unproduced play ‘In Moonlight, Black Boys Look Blue’, Moonlight dares to delve into a world that is so unfamiliar to the film industry, and perhaps to society. 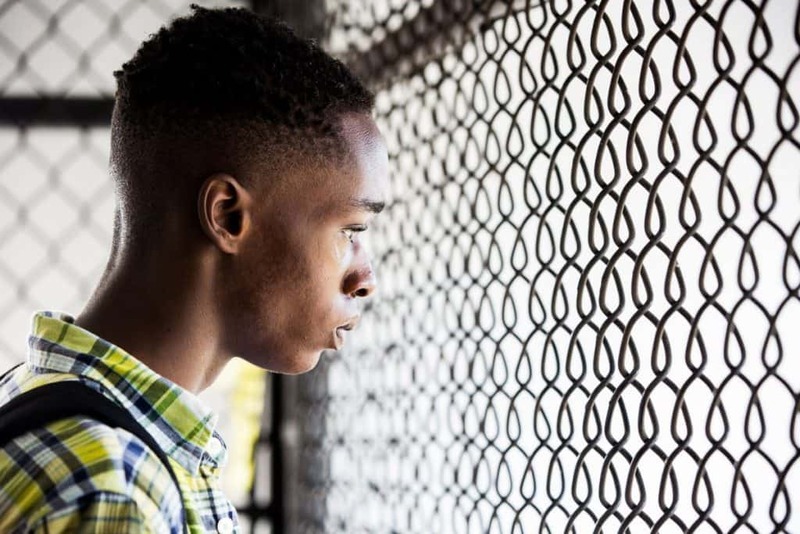 On the surface Moonlight tells the story of a young black man’s struggle with his sexuality – a story which is rarely addressed in such a harsh industry. The film documents the subject’s life as he tries to understand who he is, and Jenkins envelops the viewer within it; you are with him for his whole journey, you feel every raw emotion he feels. However, Moonlight’s story run’s deeper than this. It’s not just a film about one man’s exploration into his sexuality, it’s a film about acceptance. It’s a film about belonging. Jenkins’ film echoes a feeling many of us have at one point in our life – the sinking fear of not knowing who we are or what we’re supposed to be doing. The film is told in triptych fashion, using three chapters to pinpoint particularly defining moments of the young man’s life. Each chapter is named after one of the nicknames the young man assumes throughout his early years: ‘Little’, ‘Chiron’, and ‘Black’. The viewer first meets Little (Alex Hibbert) as he is chased into a derelict house and later rescued by drug dealer, Juan (Mahershala Ali), a character who becomes a paternal figure for Little during, arguably, the most important years of his life. 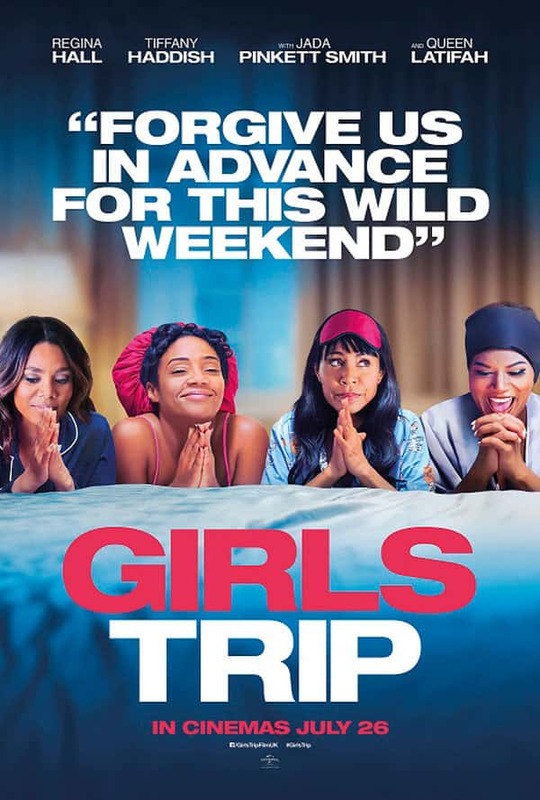 During this period we come to learn of Paula (Naomie Harris), Little’s drug-addicted mother, as well as the knowledge that Little is an outcast, bullied for being different to the boys in his neighbourhood. Jenkins uses three different actors to portray the three chapters of the young man’s life, and while the actors may not share any similar physical resemblance – particularly that of Black, (Trevante Rhodes) the bulked-up third generation – each actor has the same longing look in his eye, the same fear of unacceptance. The actors may not have the same physical attributes, but they share the same fragile soul, and their eyes are the window to that soul. Moonlight is so much more than extraordinary performances, but indeed the film is built upon them. His appearance may only be slight, but Mahershala Ali’s presence in Moonlight is overwhelming. He is felt in every scene and in every part of Little’s life, despite his post chapter one absence. Black transforms himself into what appears to be a character much reminiscent of Juan during the film’s third chapter – from the subtleties of his do-rag and dashboard decoration, to his stature, car, and career choice – and it almost seems as if the character transformation is Black’s ode to his once paternal figure; it’s perhaps the highest honour of respect he could give him. Make no mistake, Mahershala Ali is the backbone of the film. 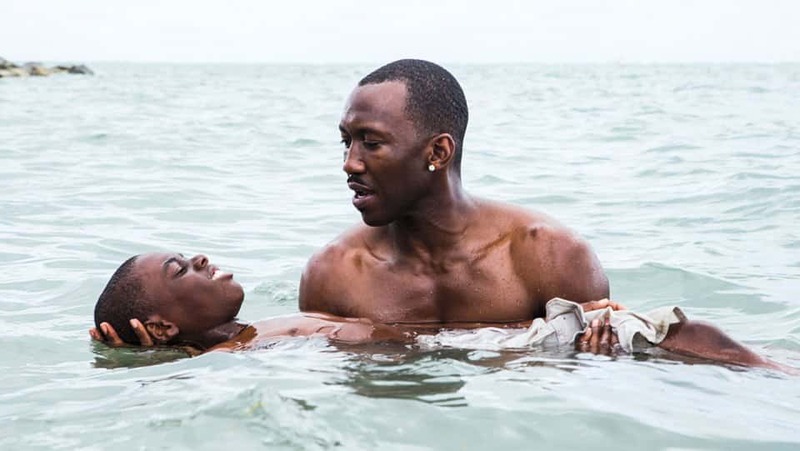 There is a gritty realism to Moonlight, but cinematographer James Laxton saturates this realism with a dream like atmosphere, channelling the notion that despite Little’s overwhelming fear of the world around him, beauty really can be found anywhere. Another particular note to mention is Jenkins’ use of symbolism throughout. Water appears in the most prominent scenes of the subject’s life, most notably during a scene with Ali as the paternal figure teaches Little how to swim in what almost seems like a baptism. The use of the water reminds the viewer of the purities of life, and in that, the purity of Little, even after his adult transformation into Black. But as well, by the end of the film, the water represents freedom. In the last scene we see what appears to be Little by the waterfront, drenched in a blue light shining from the moon. He’s come full circle. And the nod to this is no clearer than in the penultimate scene of the film: as a fully grown man, Black looks to the ocean before continuing with his night, as if a nod to the past, a nod to his memory of Juan teaching him how to swim. He understands what Juan once said to him by the sea. He understands that nobody but him decides who he is going to be. Verdict: The music is hauntingly beautiful, the performances are exquisite, the writing is unparalleled, the cinematography is stunning, and the directing is second to none. This powerful piece of cinema really cannot be missed; it stays with you long after you’ve left the cinema.